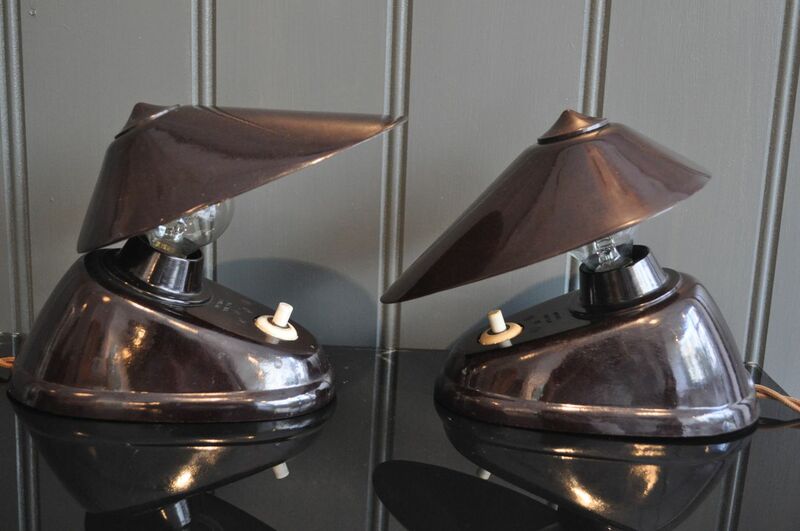 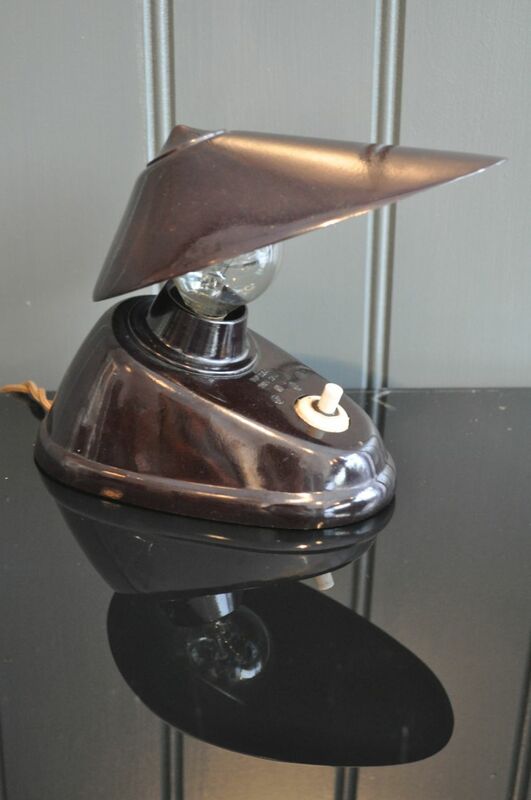 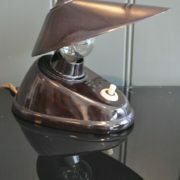 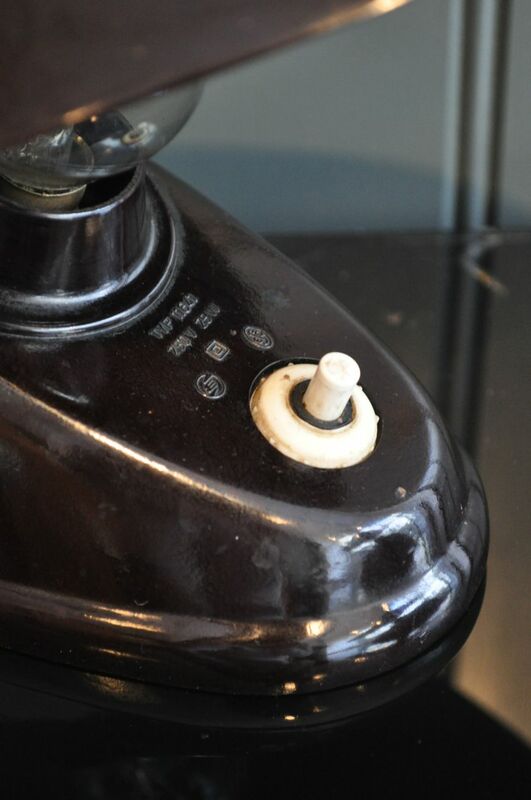 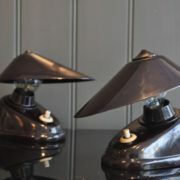 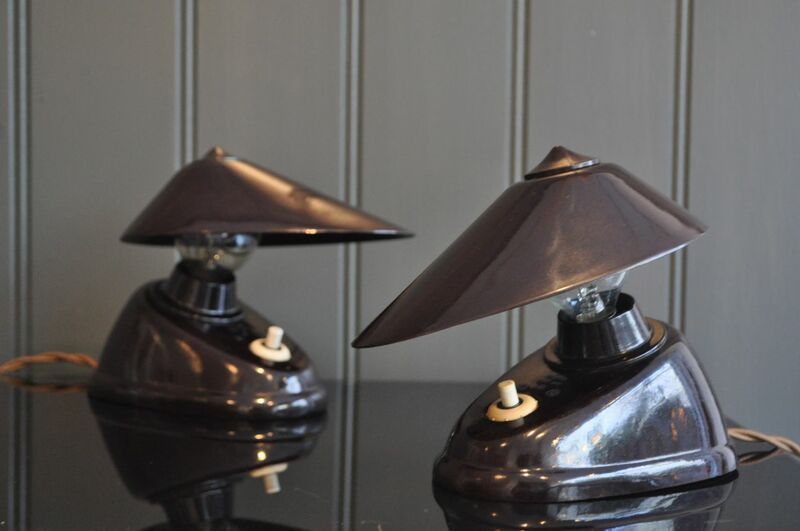 Pair of Continental bakelite lamps with a shade that can pivot around the bulb. 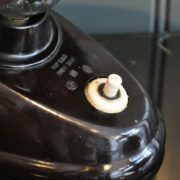 Lovely condition, and newly rewired with braided flex and a black plug. 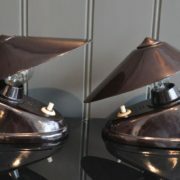 Matching pair available, but happy to sell individually. 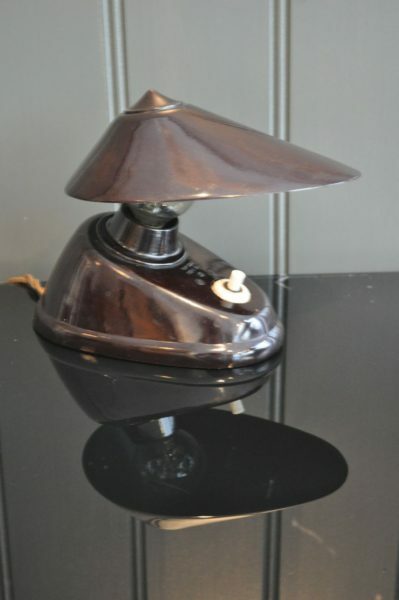 Price is per lamp.